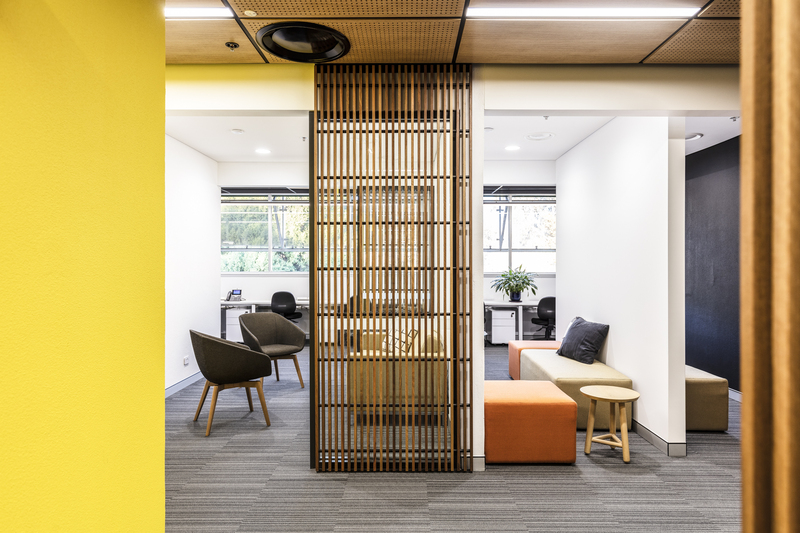 GATE Agritech is a 500sq.m office refitt within a former laboratory building for 60 Staff. 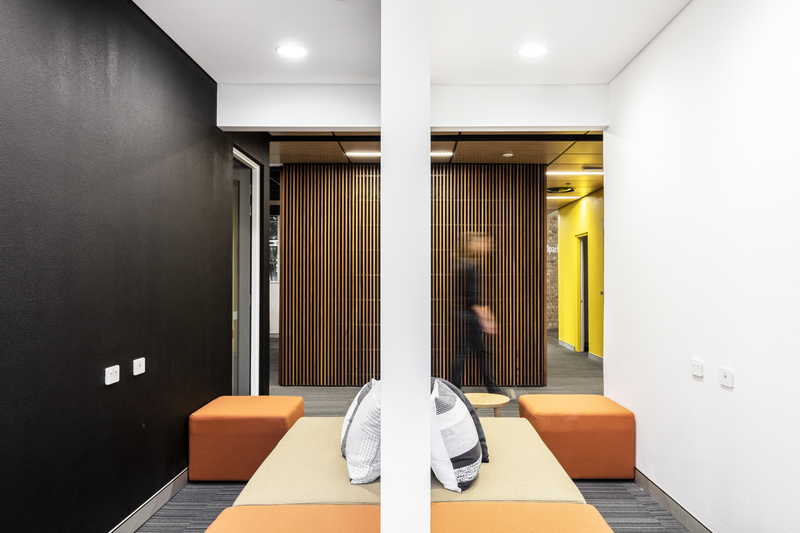 The office fittout included formal and informal meeting spaces, prototyping room, reception, lunch and staff areas, breakout zones and toilet and shower facilities. 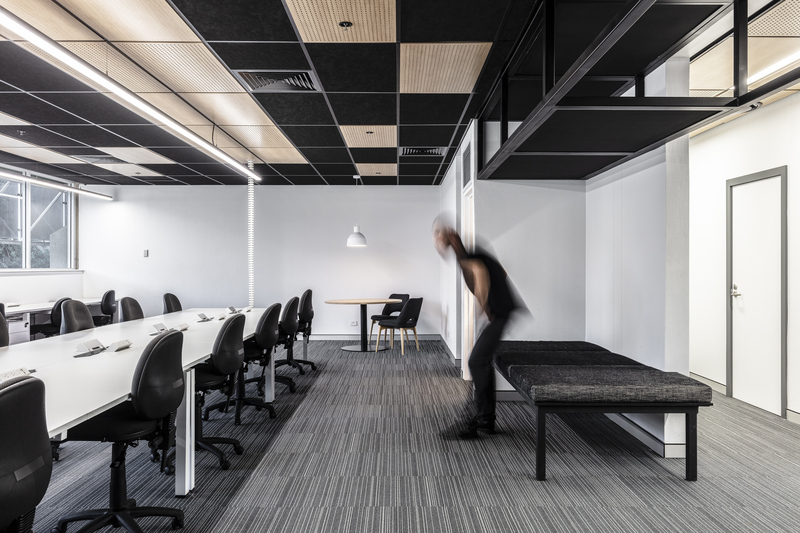 The fittout employs advanced Wi-Fi and teleconferencing infrastructure and included a full re-fit of the A/C, electrical and data infrastructure services. 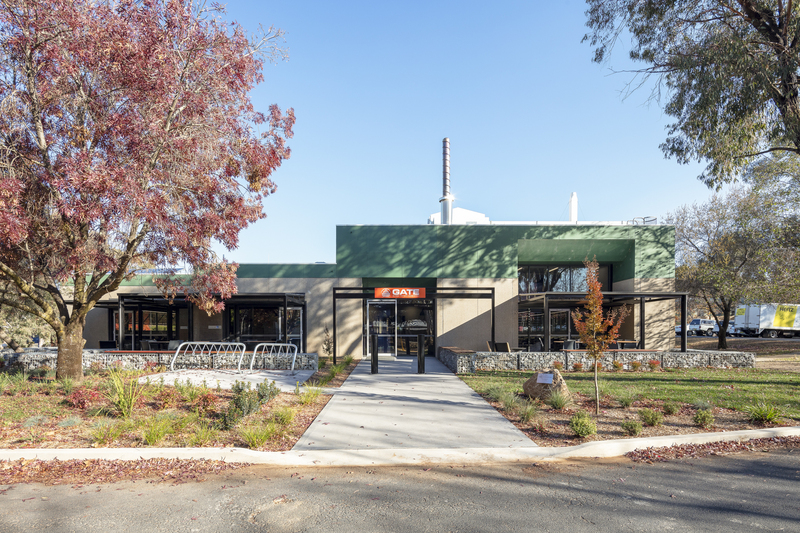 The existing building provided a number of challenges with regard to structural issues and its former use as a research laboratory that were managed as part of our work. The timeframe also presented a challenge with the design development and documentation being undertaken in only 3 weeks to enable the project to be opened on a per-determined date. 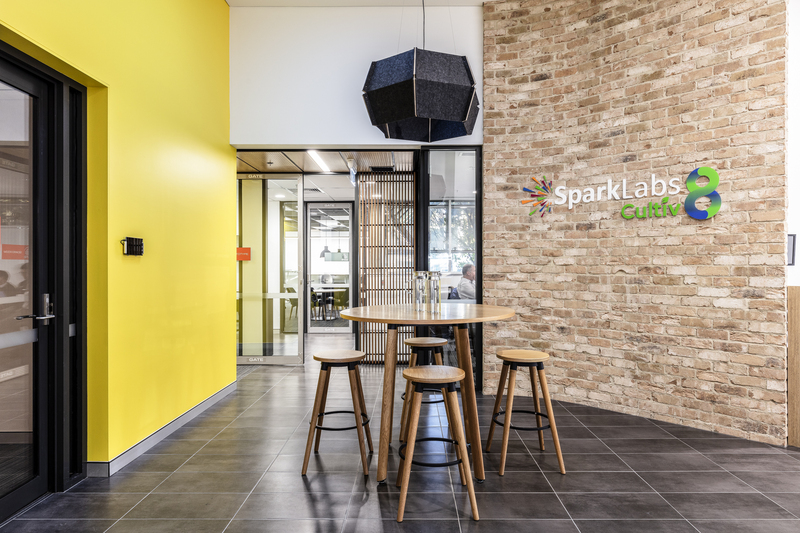 Source Architects were responsible for the Design Development, Construction Documentation, selection of all materials, colours, finishes and fixtures and selection of all furniture including workstations, soft wiring systems and custom design furniture elements. Source were also charged with co-coordinating a large consultant team including a Quantity Surveyor, BCA Consultant, Mechanical, Hydraulic, Electrical, Civil, Fire and Structural Engineers.